This weekend we celebrated the first day of spring and thus marked that magical time of year when we begin to put away our heavy winter coats and pull our spring layers out of storage. Anything In Grey: This season, lighten up formal wear, by adding a touch of grey. A smart, sophisticated sports coat takes on a whole new meaning this spring with greys dominating the runway trends. This Kent & Lloyd sport coat is constructed from 50% wool and 50% polyester blend, featuring an inner zip pocket for added security for your valuables. The soft check pattern blend of blue, navy, charcoal and stone, makes this a must have in your wardrobe this season. Easy to wear and match with almost any colour pants you have in your wardrobe, making it an ideal travel companion. 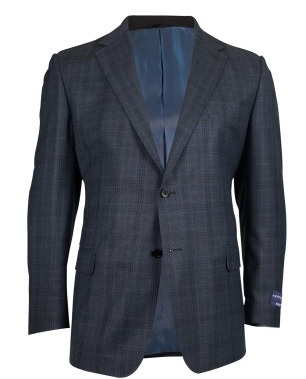 This stylish sports coat is the perfect solution to add a dash of charm to your wardrobe this spring. Lace up Boots: Once restricted to casual wear alone, lace up boots are seeing a resurgence this spring. No longer will they be left to the weekends, as today you have the freedom to march into work in these babies and stay comfortable and stylish throughout the season. This R.M. Williams pair are sturdy and stylish with a nonslip composition sole and comfort innersole. 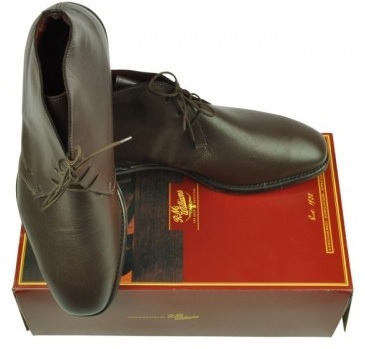 They have a fiberglass shank, flat heel and chisel toe and come in chocolate colour, perfect to take you from work, to afternoon drinks in the park. Chalky is the term we prefer to what your wife may refer to as ‘pastels’. This spring is all about these hues, so embrace the lighter path with items like this cotton tuck polo by Breakaway. Combine with sand coloured cargos for an unbeatable spring ready ensemble. For the best selection of large size t-shirts and polo shirts online, you need look no further than Ron Bennett Big Men’s Clothing for the widest and most sought after range available. We stock shirts for large men from some of the world’s most popular brands, giving you the option to buy our clothing online or in store. We have everything you need to create the perfect spring look. This spring, dare to add some colour to your usual pallet. Incorporate some bright blue with your casual jeans or cream cargos. You will find this dash of colour will do amazing things for your skin tone, hair colour, and overall appearance. Don’t dive in head first and deck yourself out in every colour of the rainbow, start small and choose one item to build your outfit around.